If she wasn’t a digital marketing professional and a yoga teacher, Chelsea would gladly go back to her roots and be a librarian again. As fate would have it, the Universe has granted some type of compromise: Yoga at the Library! Chelsea says she’ll take it. 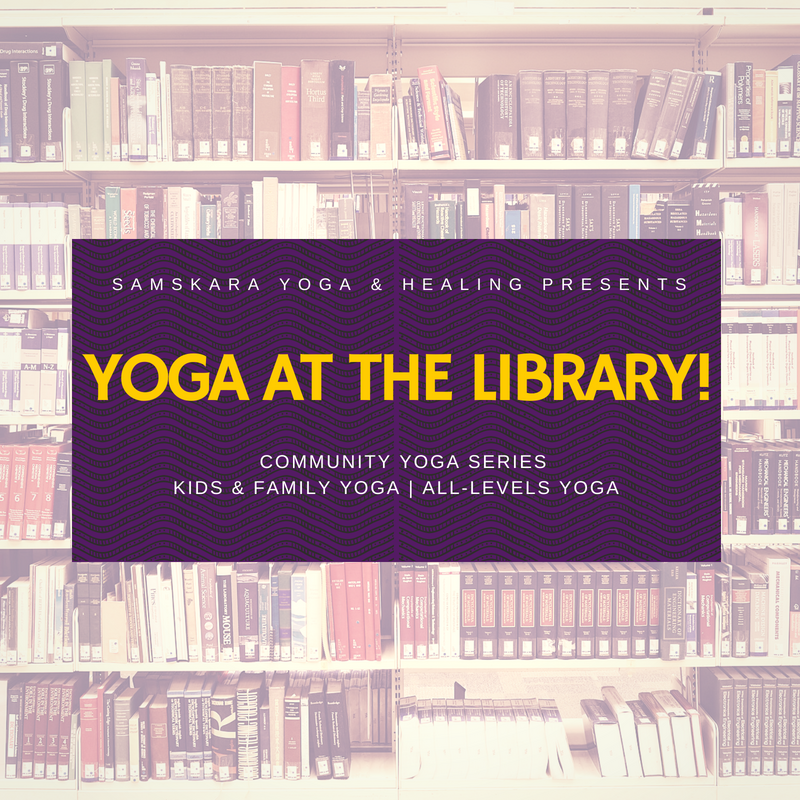 Join Samskara Yoga & Healing for Yoga at the Library! These community yoga classes are FREE, but you must register/sign a waiver to participate. Samskara Community Yoga Challenge! Instagram to Win!